Do you need help? Please call us at (603) 625-5898. 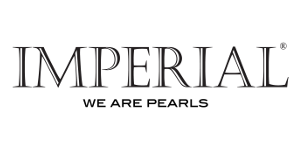 For over 100 years, Imperial has been the country’s leading expert in pearls and a leading designer of pearl jewelry. Our three generations of pearl experts travel the world hand selecting rare pearls directly at the source, ensuring we have first pick of annual pearl harvests before they are even available to other companies. The fact that we are the largest independent pearl company in America allows us to leverage our unprecedented buying power to secure lots of pearls at prices others simply can't obtain. From Golden-Age of Cinematic star Loretta Young to Rita Hayworth to Elizabeth Taylor to First Lady Nancy Reagan, Imperial Pearls have been the choice for discriminating fashionistas since the 1900's. Over our decades in the business, we have established strong personal relationships with pearl farmers throughout the world while remaining industry leaders in jewelry design and craftsmanship. There are many great reasons to do business with Naser Diamonds. Please email us for information about our special offers and unique customer service benefits. Gain exclusive access to brilliant deals + be the first to know about events & new arrivals. Unlike corporately owned jewelry and galleria stores, when you shop with Naser Diamonds, you’ll be treated like family, with good old-fashioned customer service. As a leading family-owned jeweler in New Hampshire for over two decades, our customers have experienced a level of Service, Craftsmanship, and Value that is unparalleled and unique in the retail jewelry industry.